Buy a pink ribbon cupcake at any Bread Winners location and $1.00 will be donated to the Susan G. Komen Dallas County and help to support breast cancer education, research, screenings and treatment. To find a location nearest you, visit www.breadwinnerscafe.com. Katydid Collection is a local clothing company that has a passion for fashion and a huge desire to give back. Founder Katy Maddox told me, "With a clothing line that focuses on women, it seemed like an appropriate way to not only give back but to help support awareness through design. Since designing the collection, I have been completely overwhelmed by the response to the tees and deeply touched by the stories of survivors, volunteers, friends and family. Just two weeks before the 2009 race, my Aunt Jean was diagnosed with breast cancer – a battle she lost a few years later. In that moment, the cause became deeply personal and I was all the more thankful to play a part. Breast cancer is truly a disease that impacts us all." 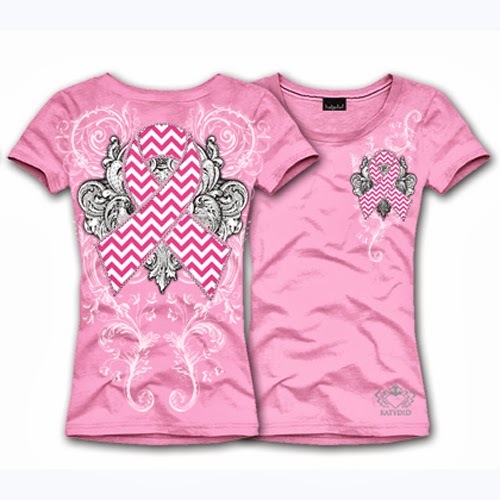 Get 20% off + FREE Shipping on any tee from the Katydid Pink Ribbon Collection when you use coupon code “OSC2013” during checkout online. Katydid will also donate 20% of sales to Oh So Cynthia’s Susan G. Komen fundraising team from any Pink Ribbon Tee purchased at Katydid.com today thru October 10. Twisted Root Burger Company is offering a special “Boobie Burger” that will be available at all locations through the month of October. 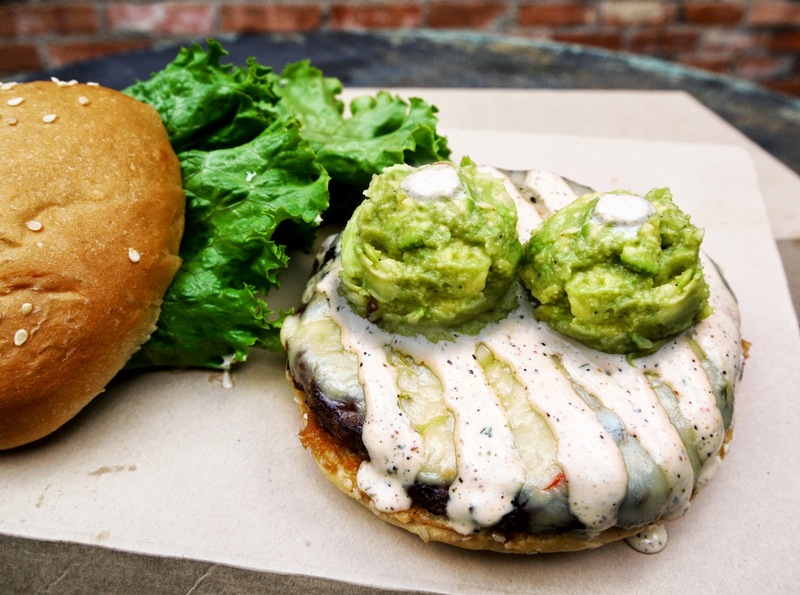 The Boobie Burger is topped with pepper jack cheese and chipotle ranch, plus two strategically placed scoops of guacamole. In addition to being generally delicious, 10 percent of sales will go to Susan G. Komen Dallas County and help to support breast cancer education, research, screenings and treatment. The Boobie Burger costs $8.99 and will be available for purchase through October 31 at all Twisted Root locations. For more information about Twisted Root Burger Co., please visit http://twistedrootburgerco.com. G Wear uses cotton t-shirts as a “canvas” and recycled t’s as stitched-appliques to create designs that allow the wearer to communicate a relaxed style that’s all their own. With no two shirts being alike, guests visiting the website can now select their favorite, exclusive and limited pink ribbon designs to support October’s Breast Cancer Awareness Month. A portion of the proceeds from the sale of each pink ribbon T will be donated to Susan G Komen Dallas County to help support the fight against breast cancer. 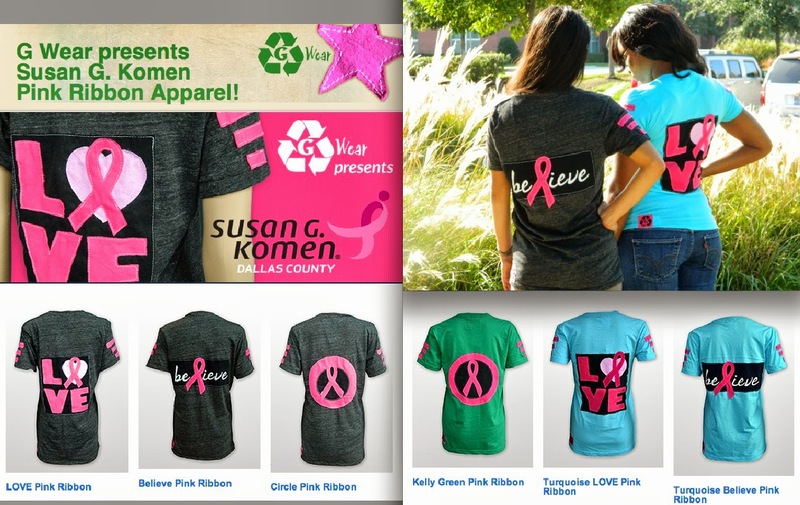 Start shopping at http://mygwear.com/susan-g-komen/. Cleaning for a Reason was the brainchild of President and Founder, Debbie Sardone, owner of Buckets & Bows Maid Service in Lewisville, TX. Debbie took a phone call from a prospective client several years ago. After providing the woman a price quote, the prospect paused before saying, “I won’t be able to afford that now; I’m undergoing cancer treatment” and hung up. Debbie hadn’t gotten the woman’s phone number and was unable to call back to make arrangements. In that instant, Debbie decided that no woman undergoing cancer treatment would ever be turned down by her business. In fact, they would be given free housecleaning service. Cleaning for a Reason partners with maid services to offer professional house cleanings to help women undergoing treatment for cancer, any type of cancer. 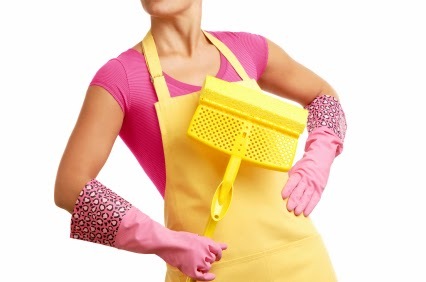 Since 2006, Cleaning For A Reason has helped women with cancer receive the gift of over $3.7 million dollars worth of free house cleaning from approximately 1,000 maid service partners. If you know someone battling breast cancer who is in need of this service, have them visit http://www.cleaningforareason.org/patients to apply!